Lakeshore Records has released the Walk Of Shame, original motion picture soundtrack digitally and through Amazon-On-Demand. 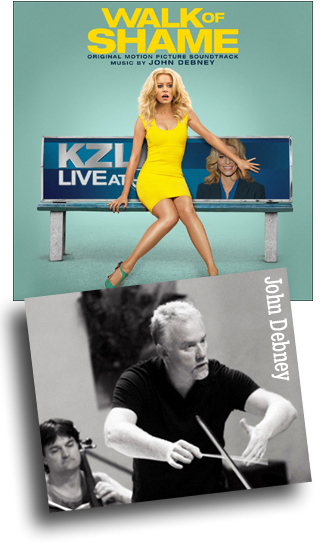 The album features original music by John Debney. The outrageous comedy Walk Of Shame stars Elizabeth Banks as a resourceful reporter whose one-night stand with a handsome stranger leaves her stranded the next morning in downtown Los Angeles without a phone, car, ID, or money – and only 8 hours before the most important job interview of her career. Available digitally and through Amazon-On-Demand.